If you’re interested in writing flash fiction – and by that I mean very short (like, under 1000 words short) stories – well then cut the frabbajabba and grab some readin’ matter, because a group of intrepid flash fictioneers have roamed the wilds of short shortness to develop the new Rose Metal Press Field Guide to Writing Flash Fiction. The book, which features exercises, story examples, and essays on the form from such writers as Steve Almond (Fiction/Creative Nonfiction ’08), Stace Budzko, and Jayne Anne Phillips, is the centerpiece of an event on June 11 at Brookline Booksmith in Brookline, Mass., with appearances by Steve and other contributors, as well as the book’s editor Tara L. Masih. Tara, a freelance editor and writer (and past finalist for an MCC Artist Fellowship in Fiction/Creative Nonfiction), also wrote the Field Guide’s introduction, the first comprehensive examination of the short short story and its origins. She kindly agreed to a flash Q&A with us, weighing in on the magic of pen-on-paper, autobiographical writing (or lack thereof), and of course, flash fiction. What’s the most embarrassing sentence/line of poetry you’ve ever written? “Crystal rings true, but cut glass gives a dull thud.” Forgive me, it was high school. But sadly, I remember this bad line better than some of my more recent poetry. Longhand first. Like Hemingway, I still like to feel and hear the scratch of the pen (not pencil) across the pad of paper. For me, it is writing, not typing, that frees the creative juices. Mark Helprin, in a short story, has a wonderful paragraph about the pen taking on the role of a runaway horse, and the writer becoming the farmer being dragged through the fields unharmed. That is the magic that comes only from the process of handwriting. But after one or two drafts, I do move to the necessary evil of typing on the computer. I must say, however, that as my typing skills have improved from the two-finger method, and I’ve learned MS Word, it is a great way to re-think and re-edit. It’s as if the pen and pad are the foundation, and the typed drafts the actual building that begins to house the story and the characters. Moving from one different type of material to the next frees up another part of the creative brain that allows for different sentence structuring and details. In my case, anyway. Do you ever revise your work on the spot during live readings? Gosh, never! It’s hard enough to do a reading well with what I have in front of me. And by the time I get to the reading stage, the work’s been edited so many times, I don’t want to change a word or a piece of punctuation. Including this answer. What’s the best day job you’ve ever had? The best day job I ever had was working for Bedford Books in Boston. It’s where I learned all the skills that helped me branch out as a freelancer and then develop and edit this Field Guide. What’s the most surprising reader response you’ve ever received? Any advice for writers interested in foraying into flash fiction? Reading is fundamental. Look for the Sudden Fiction and Flash Fiction anthologies. All the collected stories went through a rigorous screening process to be included. It’ll give you an idea of the range of creativity flash offers and an idea of what to strive for. Also, check out the online flash magazines such as Vestal Review, Ghoti, SmokeLong Quarterly, and Night Train. Take a workshop. Local colleges, conferences, and writing associations now offer courses and seminars in flash fiction. Finally, of course, read The Field Guide. 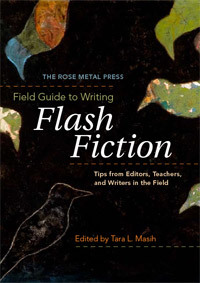 It’ll teach you about the history of the genre, and present tips and advice from many of the best writers, teachers, and editors of flash in our country – and beyond (one contributor lives in the UK). But most of all, have fun with it. Some writers use flash as a sort of escape from the constraints of writing longer prose. Tara joins Steve Almond, Stace Budzko, Pam Painter, Jen Pieroni (Quick Fiction editor), and Rose Metal Press publisher Abby Beckel for an event at Brookline Booksmith on Thursday, June 11, 7 PM. 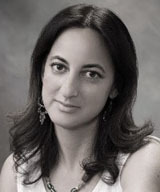 Tara L. Masih has taught at Emerson College and was an in-house editor for Little, Brown’s college division and Bedford Books of St. Martin’s Press. She now freelances for companies such as Ballantine Books and Harvard University Press. Her writing has won awards, and two flash fiction chapbooks (Fragile Skins and Tall Grasses) were published by The Feral Press in 2006. She was a regular contributor to The Indian-American and Masala magazines, in which her essays on the topic of race and culture were often featured. Interested in having a work of flash fiction published on Tara’s website? Learn how.